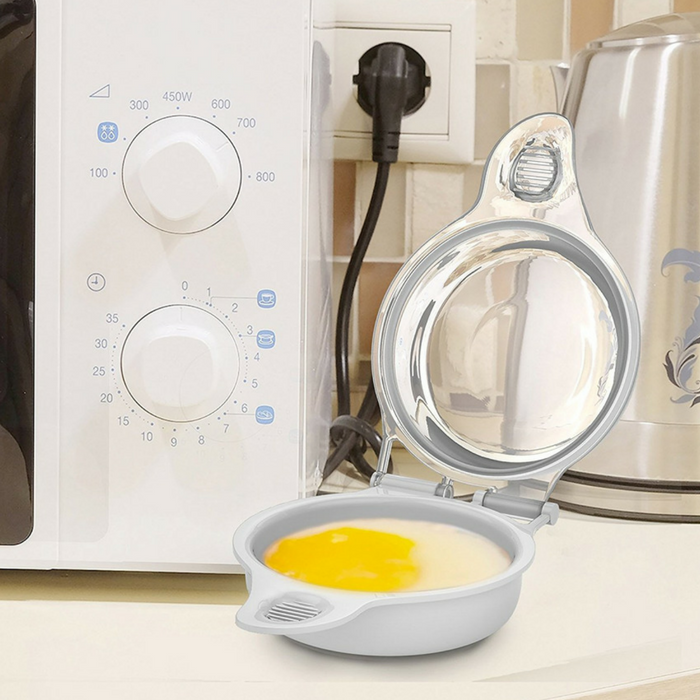 Microwave Egg Maker Just $3.99! Down From $28! You are here: Home / Great Deals / Amazon Deals / Microwave Egg Maker Just $3.99! Down From $28! Head over to Amazon to score this Microwave Egg Maker for just $3.99 down from $27.99 PLUS FREE shipping with Amazon Prime or for orders $25 or more! The Microwave Egg Maker by Chef Buddy is a quick and easy way to make a healthy and delicious breakfast with minimal clean-up time. This cooker can hold up to two eggs, cooks in under a minute, and is perfect for making breakfast sandwiches. This portable, microwave safe egg cooker is a perfect addition to any home or dorm room. PERFECT EGGS EVERYTIME: This microwave egg maker is a cooking utensil that can deliver light, fluffy eggs in under a minute. To make your perfect eggs even more delicious, by adding sausage, bacon, ham, cheese, vegetables, or seasoning. QUICK, CONVENIENT, AND SAFE: With the ability to make an egg in under a minute, this convenient cookware makes a breakfast sandwich a quick and convenient process. This cooker is microwave safe and made of food-safe plastic. EASY TO CLEAN AND STORE: Clean-up consists of rinsing with hot soapy water, or alternatively putting it on the top shelf of your dish washer. This compact egg maker is light weight, which makes storing simple. PRODUCT DETAILS: Materials: #5 Polypropylene Plastic Construction. Dimensions: 6.625” x 4.625” x 2.5”.